The thought of the possibility of life existing beyond Earth is something that almost everyone can relate to. 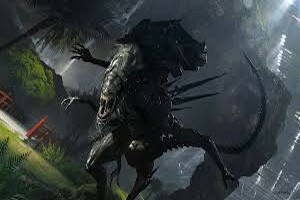 And the biggest question, ‘Will we ever find out?’, still cannot be answered with 100% certainty Well, if the aliens are similar to what was shown in the movie Prometheus than its better left unanswered. You can read more about Prometheus by clicking here. In the movie Prometheus, a bunch of explorers were hired to venture on a space mission to solve this millennium old puzzle. They started their journey in the hope of finding out the very starting point of human’s creation. Upon landing on the planet which they believed to be the only visitor to, they found out that that was not the case. If you are about to watch Prometheus with an expectation of experiencing some sci-fi flicks then you better lower your expectations. This movie is more of a dram than action oriented. With that said, the trailer somewhat spoils the good portion of the movie having action which is already minimal. After watching the trailer, I for one was expecting the average amount of action scenes and at an uptight pace. And my perspective was not of an endless action movie as this rarely happens but the movie could have given us a bit more of it. The story of the movie hot fractured and the screenwriter were not able to bring out the entire crux of the theme, “meaning of life”. There were too many questions that were left unanswered and many of which did bother the audience. A certain character in the movie performs an act which will change the mankind as we know it and yet we are an aware of the motive behind this. Read more about mankind at http://d.lib.rochester.edu/teams/text/ashley-mankind-introduction. The movie did score high points when we talk about the visuals. 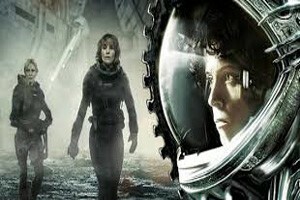 Let’s hope that Ridley Scott does justice to the theme in the coming sequel. Comments Off on Will Prometheus 2 will in the gap?